The North Entrance and the most elegant back entrance to any hotel, ever. A notable historic landmark, endless in rich interior detailing, and at its core a soaring and elegant atrium. Elite travel in the late 19th century was made possible by the steam railway. 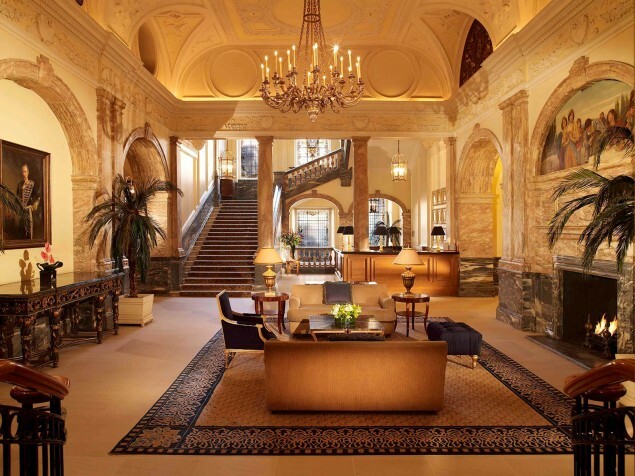 In every major city along its many routes there would be a grand hotel to accommodate discerning guests. It was the dream of entrepreneur Sir Edward Watkins, a railroad magnate, to enlarge his rail network with a connecting tunnel from Dover to the Continent. Of course, this great idea was implemented about a century later in the popular Channel Tunnel. Sir Edward envisioned a grand hotel in London’s Marylebone district. Unfortunately Watkins was financially unable to complete his dream project. Another businessman, famed furniture maker Sir John Blundell Maple, acquired the unfinished hotel and in 1899 opened the Great Central Hotel with 700 rooms. The architect was Robert William Edis, whose Gothic Revival design is still evident today on the hotel’s façade. As with most grand hotels of this period, the Great Central Hotel was designed to “outdo” the competition. We think it succeeded. The automobile changed everything. Proximity to a railway was no longer the prime factor in travel, and eventually the Great Central Hotel closed its doors. Through two world wars, the hotel building accommodated recovering soldiers and was used as offices into the late 20th century. In 1995 the present owners, the Lancaster Hotel Company, acquired the hotel, renaming it the Landmark London. An extensive renovation and restoration program ensued. 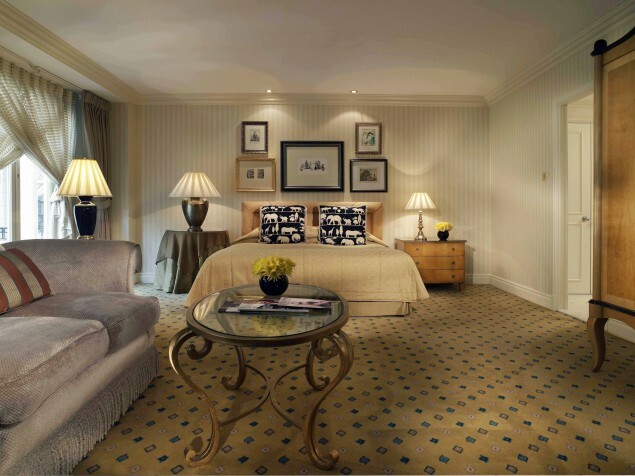 Today, the Landmark London overflows with historic architectural detail and other features that make this an especially unique luxury accommodation. The visual focus and “soul” of the hotel is the central atrium, the Winter Garden. This is a grand atrium space dating to the 1920s, extending the full height of the 8-story building. The entire atrium is covered with a metal and glass roof. The roof is supported by freestanding, slender iron columns that give the atrium its distinct and elegant atmosphere. The hotel guest wings surround this dramatic space which was the original carriage court. The Winter Garden is the Landmark London’s core of activity, where both guests and non-guests meet, dine, or have classic English tea. During the day, illumination is almost entirely unnecessary in this abundantly light-filled space — a sustainable design attribute. There are 300 guest rooms including 51 suites. The Tower Suite is a bright, contemporary space that is large enough for private dinners and receptions. 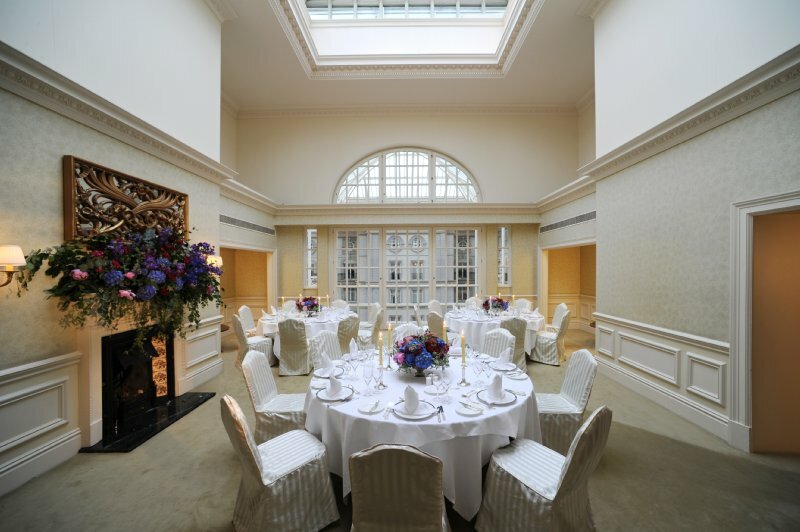 All-day dining is served in the Winter Garden, in addition to traditional afternoon tea and a stellar Sunday brunch. The intimate oak-paneled Twotwentytwo Restaurant and Bar offer fine dining in an upscale historic setting. 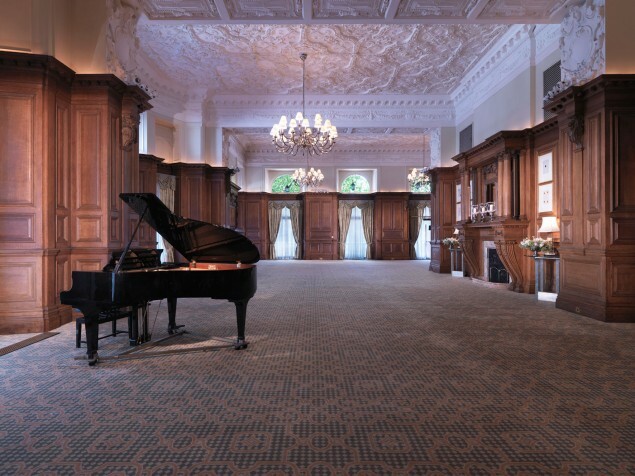 The Landmark London features several breathtaking historic ballrooms. 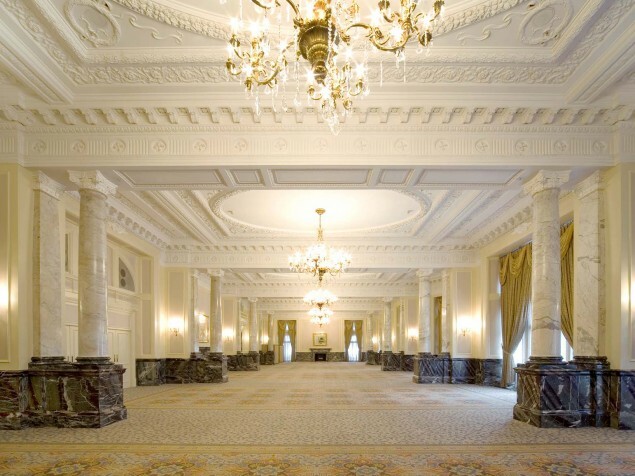 The Grand Ballroom and the Empire Room are most exquisitely detailed and will enrich any occasion. 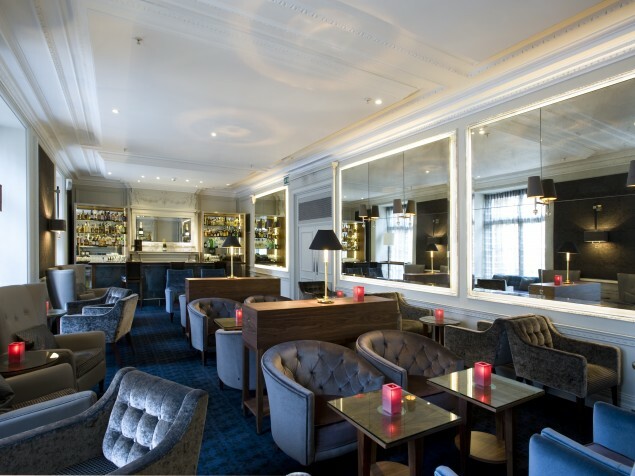 The historic Drawing Room is a separate landmark space featuring original oak paneling and ornate plaster ceiling. The Landmark London is a beautiful building. 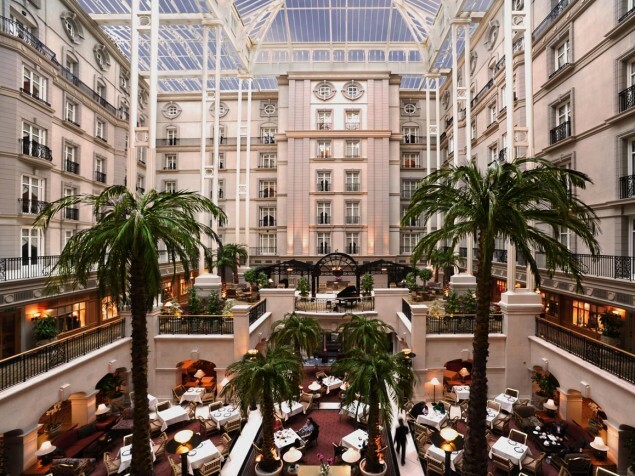 The Winter Garden atrium, the center of activity and interaction, is hard to match in any London hotel. With less than half of the original 700 rooms, the 300 well-sized guest rooms and suites, and the historic event spaces, all make this a very special London destination.